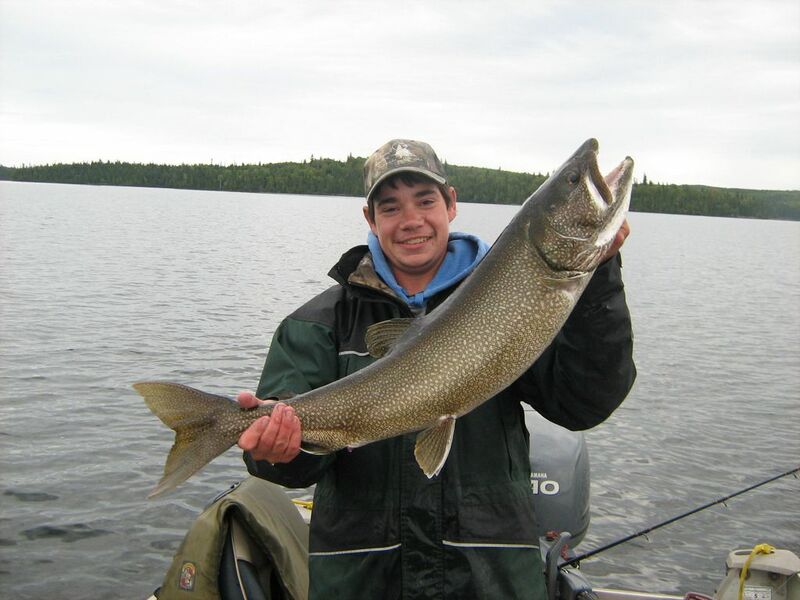 We have excellent lake trout fishing available at Trout Lake, Conifer Lake, Sumac Lake and Springpole Lake . These unbelievable fish of the deep waters of Ontario are one of the most interesting fish species to be found. When caught they put on a fight that any angler will remember for a lifetime! To catch Lake Trout in Canada consistently requires skill, knowledge and patience. 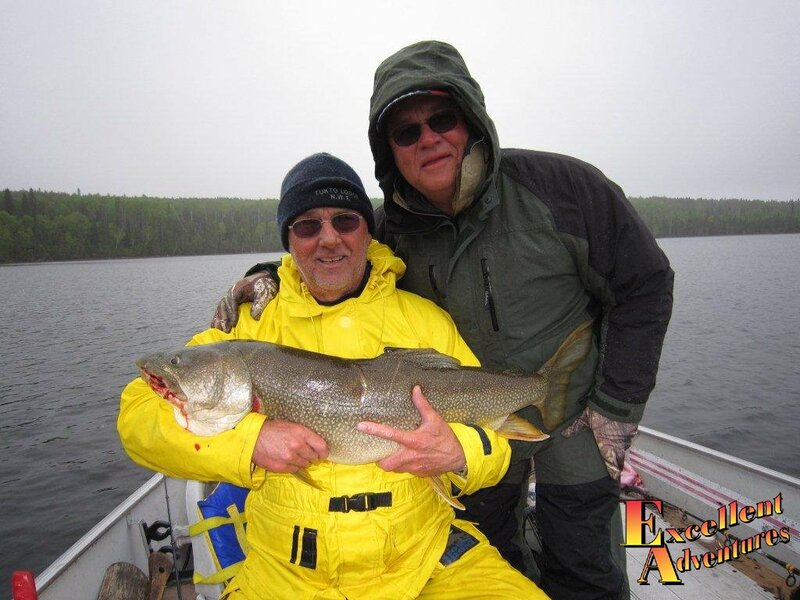 It has often been said that once you get the lake trout fever you will be obsessed for a lifetime with the thrill of fishing for them. 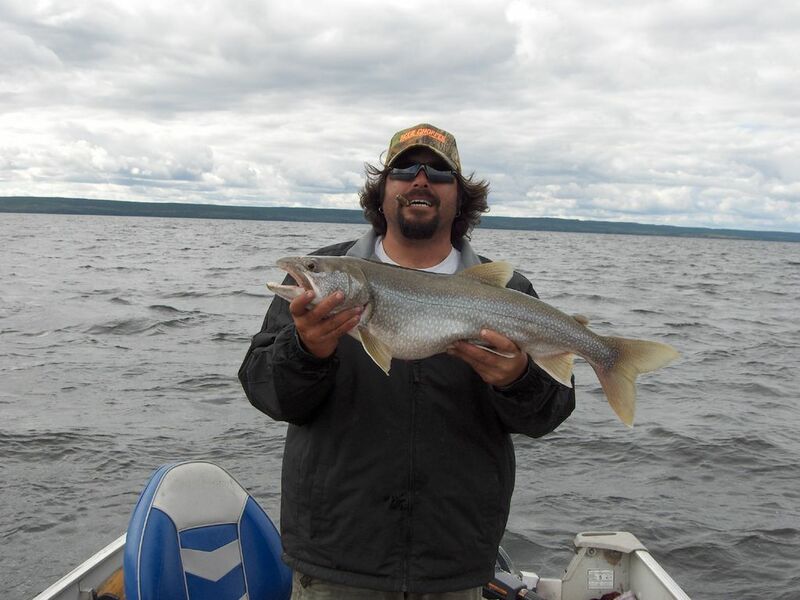 Once you really try lake trout fishing you will be hooked yourself and will be obsessed with waiting for you next trip to Canada to catch another of these beauties of the deep. 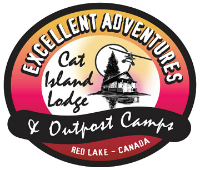 Some the best Lake Trout fly fishing is available in our carefully preserved and managed fisheries where the fishing today is as good as it was one hundred years ago.